Does MPR log player bets, thus allowing it to reveal a player's "system"? ... If this is the case, then if someone has a System that has been successful so far -- it wouldn't be safe to test it on MPR IF he/she wants to keep it a secret. It would be a hassle, but they can then test it on Random.org manually. By simply using their free TRNG on their homepage, 1-38, 37 being the number 0, or 38 for 00. If you believe it is IMPOSSIBLE to win at Roulette long-term, then you will never win. ... But, if you believe anything is possible, then you will find the way. Re: Does MPR log player bets, thus allowing it to reveal a player's "system"? I remember something about that bet sizes were logged so that a true reflection of playing could be made and making it more difficult to game the leaderboard. I don't know if it would be possible to reverse engineer a system, but I'd imagine you'd be very safe if only Steve had access. He's got other ways to win that don't need staking systems. Such systems, to be brutally honest, will all lose long term in any case, so would not be worth looking at. ... ways to win that don't need staking systems. Such systems, to be brutally honest, will all lose long term in any case, so would not be worth looking at. I never quite understood how anyone can be profitable long term using flat-bets playing Roulette because of the Zero(s). IMHO, there has to be some kind of progression, although not an aggressive one, but mild enough. In addition, a very huge Bankroll to boot, like at least 10,000 - 20,000 Units minimum. All maths based staking systems lose regardless of progressions. A system with a progression (ie Different bet sizes) just alters the win loss patterns. Negative progressions eg Martingale, give steady wins with huge losses when an adverse win strikes. Positive progressions give steady losses until you get a favourable run and then you get a big win. But regardless of flat bet or progression, you will lose long term with a staking system. In fact, progessions simply make your losses greater because more money (action) is exposed to the house edge. Excuse my lack of knowledge, but how do you bet then? I thought a staking system is a "systematic way of betting", rather than flat bets. So if you don't use one, then the only other way is to bet randomly, which is basically just gambling. Precognition or psychics or any other form of AP. 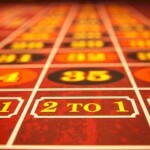 Do you honestly think the casinos would allow anyone to play roulette if you could beat it using a staking system? Would you? I don’t think so, so why would you think a business would do that? I bet by looking at the wheel, counting to work out the rotor speed, counting to measure ball deceleration and predicted fall off place, then adding bounce and scatter for that ball and speed, predicting where the ball is likely to rest, and placing bets during the spin. If I've got everything right, the chance the ball will land in my number is about 1:30 to 1:32 instead of 1:37. I get paid at 35:1 so I have an edge instead of the casino. But I'm not a gambler. If I don't think I can win, or am not predicting accurately enough I stop playing, until I get conditions I can beat. The only random bets I make are the odd minium flat bet on an even chance every 3 to 5 spins while I look at the wheel, gather various data, and see how it behaves. I pay just 1.35% tax on my minimum bets so lose just just pennies over a session on those. I have to place a few bets so as to blend in. Can't really stand around for hours on end just watching the wheel, or they may realise what I'm doing! Well, that's why most all of Casinos have very restrictive table Limits. But, I heard that those Limits are there for players who get extremely lucky when making just 1 huge bet. Because the Casino has to have enough funds by Law, to cover that lucky huge Bet, or they'll lose their Gaming License. I bet by looking at the wheel, counting to work out the rotor speed, counting to measure measure ball deceleration and predicted fall off place, then adding bounce and scatter for that ball and speed, predicting where the ball is likely to rest, and placing bets during the spin. Ok, I get it, you use VB, visual ballistics. But what is your money management / betting plan? Are you betting systematically, if you are then that, in my opinion, is a "staking plan". I'm not a big player. Maybe buy in for 100 and place bets of 1 on about 5-7 numbers and splits. If I get up to 200 then I'll go up to 2 unit bets etc. So I'm betting a proportion of my bankroll. It's a simplified form of Kelly betting, but my advantage fluctuates according to prediction accuracy wheel speeds or atmospheric conditions drift and I have readjust some parameter. Sometimes it could be zero. So Kelly doesn't apply properly. But basically a percentage which goes up or down with bankroll. 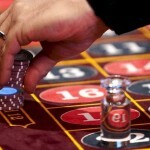 An online Casino can just ban you for any reason, if you start winning too much. A land Casino would have to catch you "cheating" in order to kick you out. I don't think it's so common with roulette, but a B&M casino can rescind membership for any reason they want. This could include varying bet size widly at BJ, even if you aren't winning. I had a friend who counted at BJ have his membership cancelled. He was also a fairly consistent winner though. 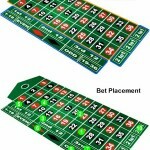 They will also share details with other casino groups. At least in the UK. 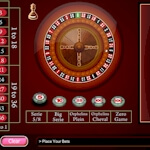 I don't know anyone personally who was banned for playing roulette, but there are people on this forum who have been. A casino is an private club, and they can choose whose custom they take. They don't mind random winners; that's good for business and 10% of punters will be the right side of the line, at least for a year or two. But they do not like AP's.